Not all motels and hotels are created equal. The Nova Motel is set up to be family-friendly. As you drive in, you’ll immediately notice the cozy horseshoe shape, which gives a safe, intimate feeling. The heated outdoor pool is a welcome alternative to going to the beach and can keep kids busy all day long. 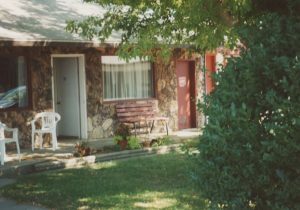 Because the motel is set upon six wooded acres, there’s lots of space in the back for kids to run and play. There are grills and a picnic area to enjoy a cookout. Bring your favorite furry friend–there are specified pet-friendly rooms, and lots of space for them to run, too! Ludington itself is a terrific place for families, with many free activities. In addition to the numerous beaches, parks and lighthouses, there’s Sandcastles Children’s Museum, kid’s activities at the Mason County District Library, mini golf, a Skate Plaza, Amber Elk Ranch and Historic White Pine Village. Enjoy your vacation, and stay at The Nova Motel…we welcome you and your little ones!